Good morning, everyone! Another month has passed us by, and it is time for another tutorial 🙂 This month, I wanted to draw off another tutorial to demonstrate how you can take some of the ideas found right here on my blog, add a slight twist, and create something unique and different. 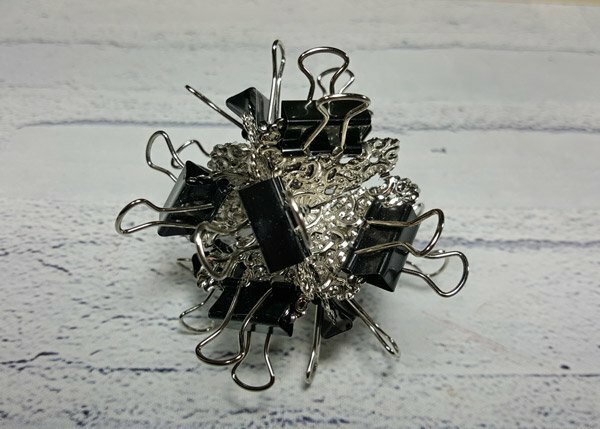 So…I decided that I would take my tutorial on how to create box corners and turn them into something completely different…a Christmas ornament! Create a total of 8 box corners as per my tutorial. 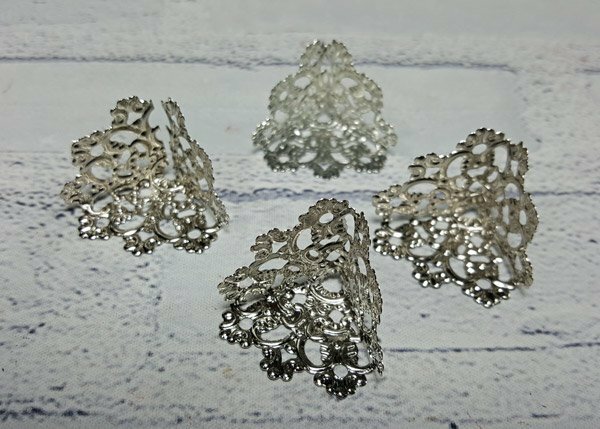 Ensure that the front of the filigree design is on the inside of corners…not the outside. Using E-6000, glue four of the box corners together to create one half of the ornament. Use binder clips to hold filigrees together until the glue has set. Repeat for second four corners. Glue two ornament halves together and use binder clips to hold together until glue sets. Here’s a look at the ornament after the clips have been removed, and before any embellishment has been added. 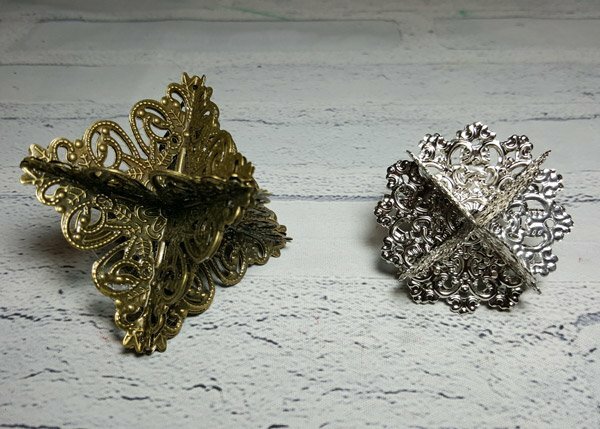 I created the silver ornament using filigree #286-P and Method 1 for creating the box corners. 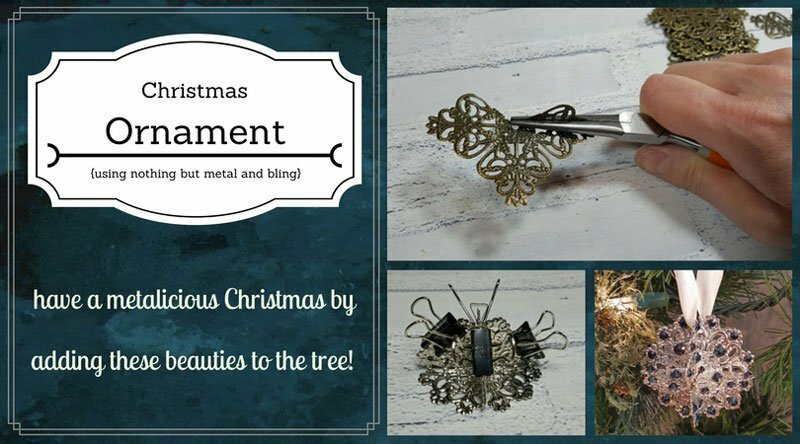 The bronze ornament is created using filigree #822-B and Method 2 for creating box corners. 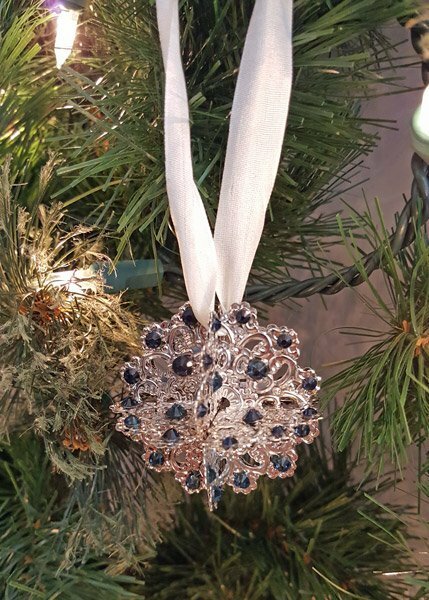 Add rhinestones to the ornament using Glossy Accents. 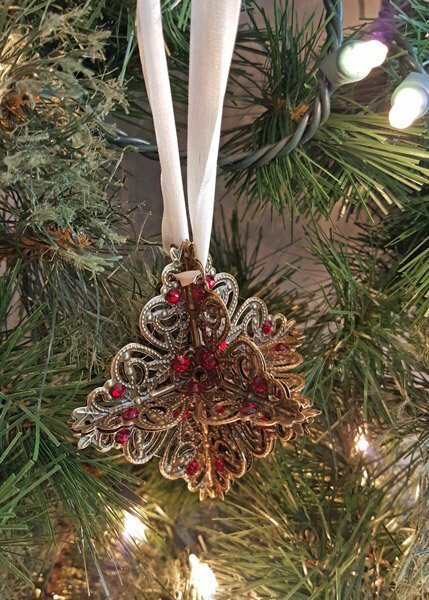 Add a hanger to the ornament using silk ribbon. If preferred, you can create a wire hanger by following Step 7 and Step 8 of this tutorial. That’s it for this month’s tutorial. I hope you like the twist I added to the box corner tutorial, and hope it inspires you to look for more opportunities in the tutorials I’ve already shared 🙂 Cheers and have a great December!